London: The MACRO (Museum of Contemporary Art of Rome) is hosting Imran Qureshi’s first solo exhibition in Italy in collaboration with Deutsche Bank. 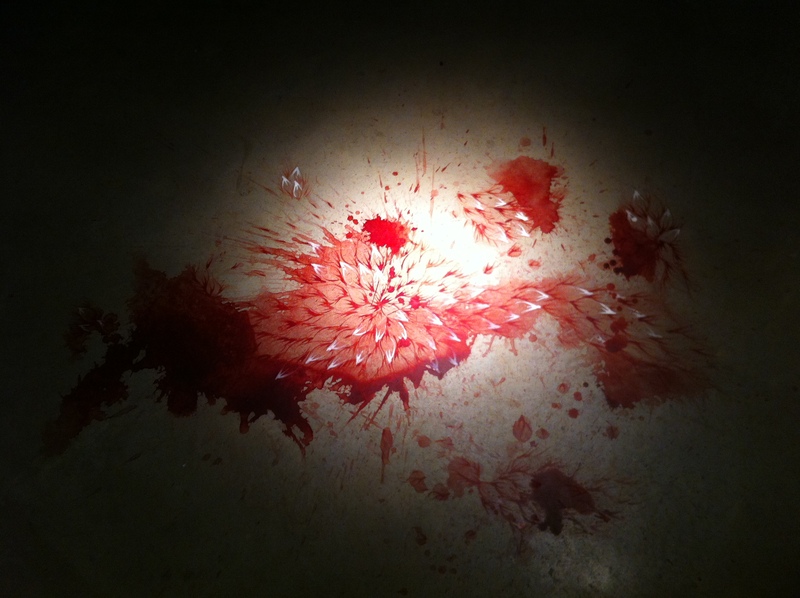 After being nominated Deutsche Bank “Artist of the Year” 2013 and after completing a large scale site specific installation at the MET in New York, Qureshi concludes a very successful artistic year with this exhibition. Qureshi, one of the leading contemporary Pakistani artists, is internationally renown for the creation of contemporary miniatures. The artist in his work discusses the current socio-political situation in Pakistan including delicate topics such as terrorism using mainly traditional painting techniques on wasli (handmade paper). The dichotomy between violence and hope, destruction and creation are also permanent features in his art as well as the evocative red colour and the flower pattern which denote Qureshi’s optimism and peaceful resistance. 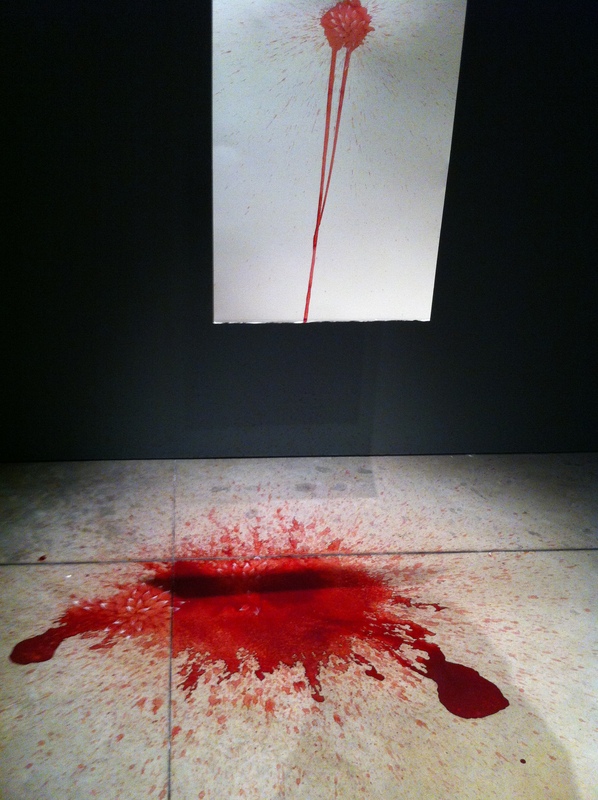 The present exhibition features recent works by Qureshi, some of which had been exhibited at the Deutsche Bank Kunsthalle in Berlin, including miniatures, oval canvases as well as site specific installations. The museum space is fitting to Qureshi’s works as it offers a classical presentation for the miniatures and a contemporary environment for the installations. The exhibition stimulates the viewers to embark on a critical discourse on culture, politics and religion and their misconceptions and stereotypes. Below you can enjoy a selection of the works on display. 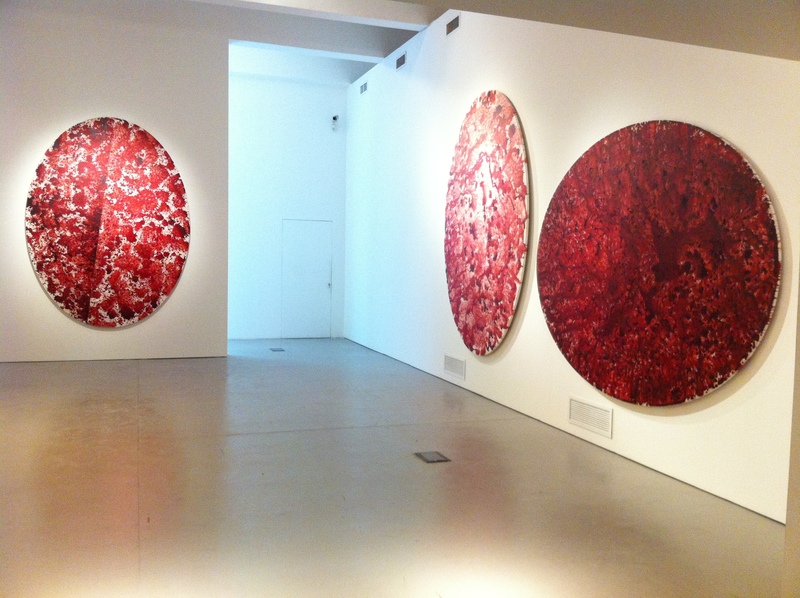 The exhibition is on until November 17, so you are still in time to visit Imran Qureshi’s first Italian solo exhibition at the MACRO in Rome! For more information click here.